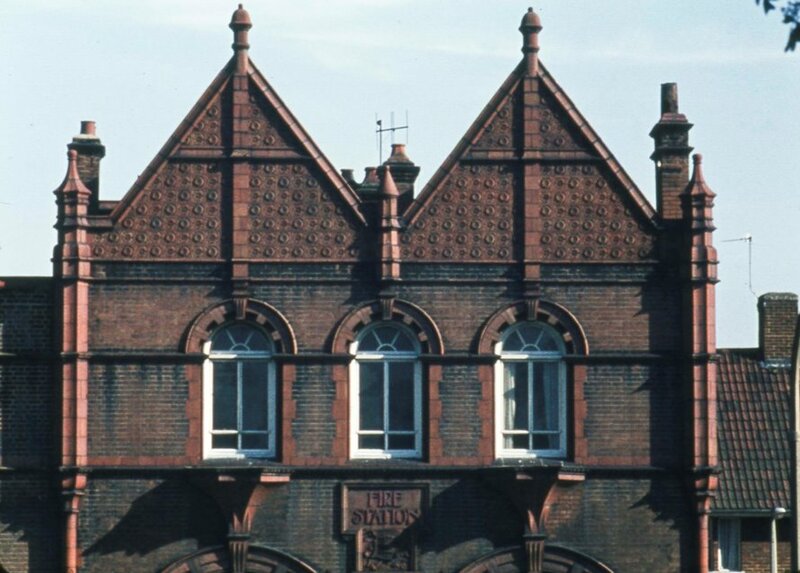 Peter Young's photo was taken on 2nd May 1973 and shows the beautiful tiling of the two gable ends and other terracotta details which add to the style rather than substance of the building. The fire station was designed by Nowell Parr and opened in 1898; he later designed the Beehive which shares some features - round-topped windows, tiled gable ends. A postcard from around 1907/10 shows the fire station's setting on the south side of High Street and has a brief history.